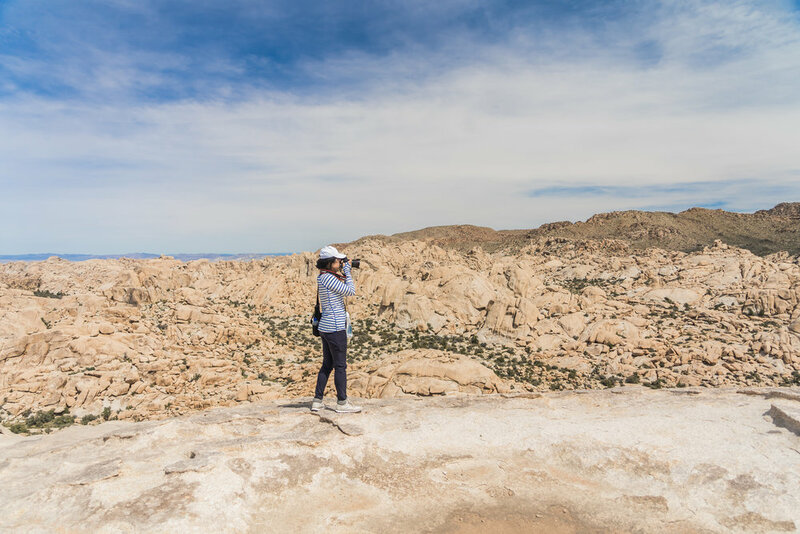 So, you’re planning your next getaway to some far off exotic land like Joshua Tree National Park or maybe its a short trip around the corner to Aruba. You’re thinking of all the things you’d like to do and see while on your trip. Now, if you’re like some of us, who think we can do it all on our own and save money in the process; you may be right to not to hire a guide. However, even us self-reliant adventurers can benefit from the hiring of a local guide for some of our planned activities. “But, I don’t need a guide,” you say. “They cost too much money and most tours are boring. Besides that, I just want to do my own thing”. In some instances, doing your own thing is a smart choice. However, let us give you a few benefits of why hiring a guide will make your trip a much more memorable and enjoyable experience. We all know that planning a trip can be hectic enough. Figuring out transportation, where to stay, what to eat and things to do can be frustrating. It can all be overwhelming and frankly, take a long time. Simply taking the time to contact a local guide can save you hours of planning and preparation time. They know the area and can give you valuable insight into the best places to visit, where to stay, where to eat and give you a real feel for the area. In fact, there are many concierge-style guide services that are more than happy to help you plan your entire visit. They can arrange your lodging, coordinate transportation, address your meals and schedule your activities all based on the kind of experience that YOU would like have. I mean really, how much time have you wasted on vacation sitting around discussing what the plan should be for each day. Or have you ever decided to book a last minute activity only to find that it was booked up? Or have you ever had a plan in mind to check out some unique point of interest only to find that it is much further, or much more challenging to get to than you imagined. Or worse, you spend all your time just trying to navigate an area successfully and miss the unique details that make your destination so interesting. Yes, you are perfectly capable of reading a map, driving or walking from point of interest to point of interest, reading information plaques and taking pictures. But how much are you really getting out of your wanderings? Not to mention, sharing your trip and time, with all the other visitors who are trying to see and do the exact same things you are. We’ve all been there before, standing in that long line to climb Half-Dome in Yosemite National Park or waiting for those ahead of us to finish their photo session or selfie stop in order to take a picture of a spectacular view. Hiring a local guide can provide you with an experience you would otherwise not have. They can take you to places off the beaten path, that only locals know of, that are equal to and often more impressive than the popular sights. They can help you avoid the crowds and give you not just an experience but an education as well. They know the best camp sites, secret trails, hidden valleys, the stories, the history, geology and facts that pertain to the area. They can help you choose where to eat, stay, activities in the area and in general provide you with inside information that will make your trip one to remember. Hiring a guide will help to get you out of your comfort zone and discover things you never thought possible; both about yourself and the place you chose to visit. A guide will get you down that path you wanted to hike but were unsure of where it might lead or if you could get back to the car after. A guide will ensure that your safety and security are first and foremost throughout your entire trip. They will keep you from going places that may not be safe and will educate you on wilderness skills and best practices, so that one day you will feel confident about exploring on you own. The next time you are planning a trip, consider hiring a professional guide for the oportunity to truely admire and appricate your vacation destination. The value of private, professional guides cannot be overstated. You can be assured that doing so, will not only enhance your vacation but will make the overall experience much more memorable and enjoyable. See you on the trail!